One of the questions that I always have about restaurants serving international cuisine in India is how 'authentic' can the experience be when the chef is Indian and has not travelled to the countries whose cuisine he is presenting. I brought this question up with chef Sahil Singh in a recent chat for my YouTube channel, The Finely Chopped. 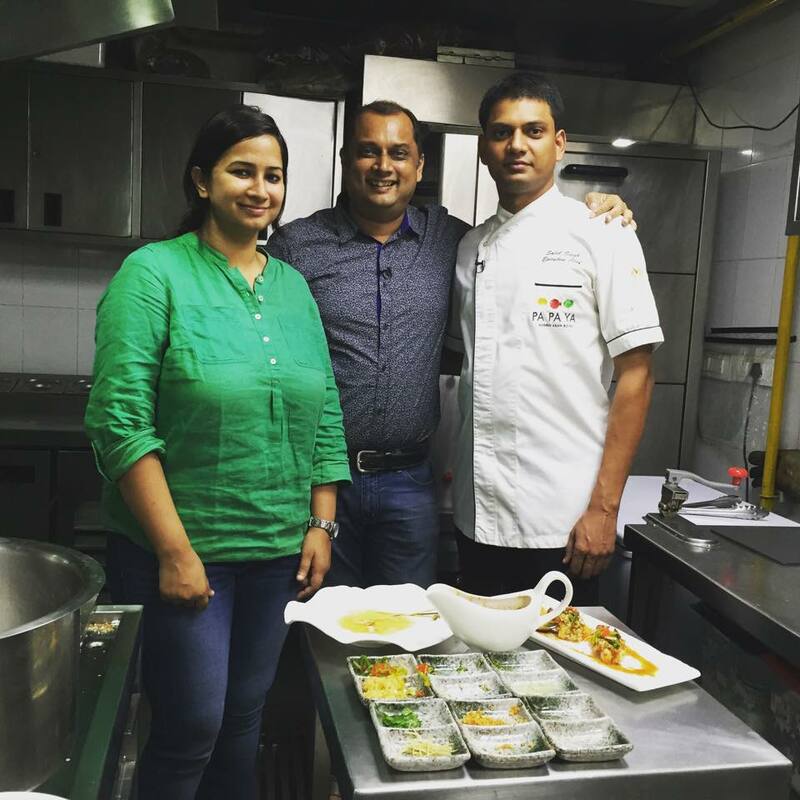 Sahil is the executive chef of the hugely popular PaPaYa in Mumbai which promises to serve Asian food. Sahil is yet to have travelled to the far east himself. Sahil, has earlier worked in popular asian food restaurants such as Wasabi at the Taj and ITC's Tian. He says that working with expat chefs there, as well as the well travelled chef Vikramjit Roy, has given him a perspective into Asian food. To this he adds the research he has done on the internet and the food books to strengthen his claims about being able to bring in flavours from a foreign land to an Indian audience. He does hope to travel to the far east someday soon to add to his learning. Chef Sahil also challenges the notion of 'authenticity' in food and says that given that there are no written rules on how cuisines, apart from French food, is to be served. He claims that it is fine to adopt to the taste palate of the market in which one is operating. I have found Sahil's sentiments on authenticity increasingly repeated by other chefs too. Manu Chandra of Fatty Bao had told me that he never claims to deliver absolutely authentic food as he has to serve Asian food within the confines of produce available in India. Chef Atul Kochhar told me that the Indian food that he served in the UK took off only when he begin acknowledge local tastes and use local ingredients. Which makes me wonder if the only way to experience 'authentic' food is to travel. And that is easier said than done. What if I want to try Brazilian food the way it is served in Rio and don't have the funds or the time to go there. Does this remain a pipe dream then? I would not challenge the chef's take on playing around with flavours but if a hypothetical diner from Tokyo comes over and can't recognise the Japanese food served to him then I would feel short changed eating there myself. And if it is so, then we can't crib about Bangladeshis who apparently serve unrecognisable Indian food in the UK. Having said that, both PaPaYa and Fatty Bao are doing pretty well here so obviously they've got something going for then. I try to get you some tips when I meet pro-chefs. Do check out this video where Sahil shows me how to steam prawns at home and ensure that they are flavour packed and juicy. Hope you like the videos and please subscribe to the channel if you do. I guess it is a question of retaining the authenticity both in terms of the technique and ingredients. There's enough material for both written by experts which one can leverage even if one has not visited the country. Thus a Genoise should be prepared in the Italian way without giving it a desk twist or One should know what Sake can bring forth and not just use it blindly on a Japanese dish. It is ones experience with the ingredients and the techniques that matter, which can keep the dish close to authentic!